By next week, Meizu will be officially lauching the M1 Mini at their event in Beijing. So far the M1 Mini has only been depicted by various rumors and information leaks here and there. Back in November 2014, the partnership of Meizu and Canonical was announced, along with reports of an upcoming Ubuntu powered Meizu phone. The collaboration was pushed by the belief that more smartphones delivering a full Linux experience should be put out there. It certainly seems that the partnership has now come into play. The most recent leak is that users who would purchase the M1 Mini will have an option to either get it with a Flyme OS, YunOS, or Ubuntu Touch OS. The Ubuntu OS option is highly credible and without doubt the most interesting one of the three. The Flyme OS is Meizu’s trademark OS modification on top of the vanilla Android OS, while YunOS is Alibaba’s spin on things. The M1 Mini is rumored to feature a 4.7 inch screen with a 720p resolution display beneath it. The supposed price tag will fall in the 799 Yuan or $130 range. The low price may suggest a downgrade from the M1 Note processor, MT6572, to an MT6732. 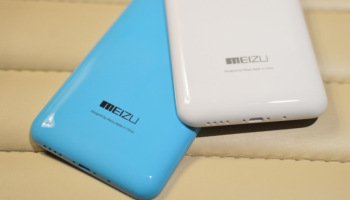 The official specs will be released at the Meizu event on the 28th of January.